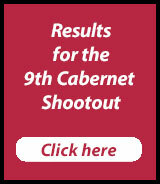 The deadline for entries to the Cabernet Shootout has been extended. The holidays crept up on all of us. After numerous panicky phone calls from wineries begging forgiveness and a dispensation to allow them to enter their wines belatedly into the competition, we’ve extended the deadline for entries. 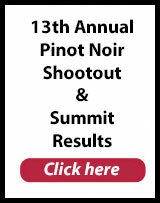 The Cabernet Shootout Finals are now scheduled for February 3rd at the Atlantis Casino Resort Spa in Reno. There is still time to enter your wines. Registration for the Cabernet Shootout is $65 per wine. Enter online and save $10 per submission – $55 per wine. Register 4 or more wines and receive an extra $5 per entry discount – just $50 per wine.